This data layer is the estimated well depth based on data from existing wells. 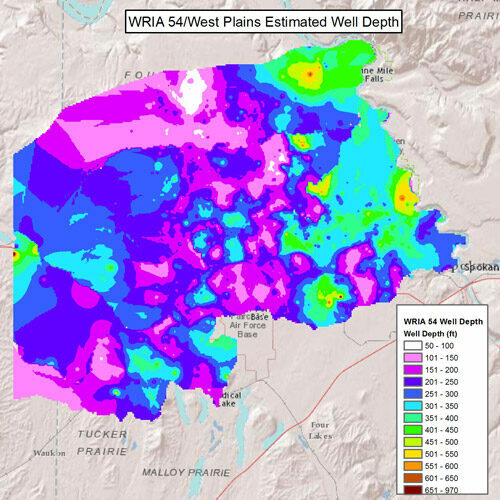 This data layer was created utilizing inverse distance weighted interpolation, and therefore values between data points are estimates and actual well depths may be different based on localized conditions. If you are seeking information about a specific location evaluate well data in the vicinity in addition to this data layer.